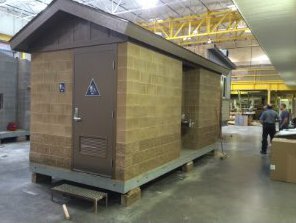 Our ADA restrooms incorporate the inherent advantages of modular construction: factory quality, factory inspection, freedom from wage grade labor rates, and quick installations. Green Flush uses seven manufacturing plants in the U.S. and Canada, giving us a competitive advantage by minimizing shipping distances and costs. 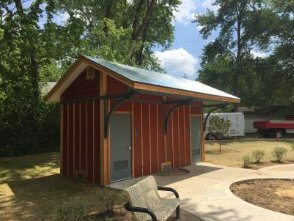 * We also offer flush restrooms for locations not served by water or sewer services. 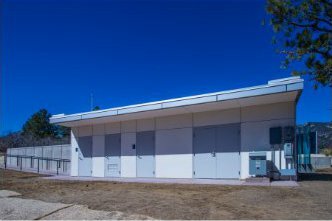 Our modular buildings come with precast concrete foundations, dramatically reducing construction impacts of on-site construction. 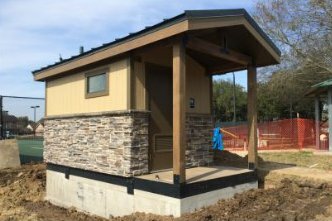 Our restrooms can be fully operational within a few days of delivery, saving you time, money, lost utility, while reducing liability. The use of precast foundations allows us to run existing plumbing below the floor, providing more efficient floor plans and better, more cost-effective utilization of interior spaces. 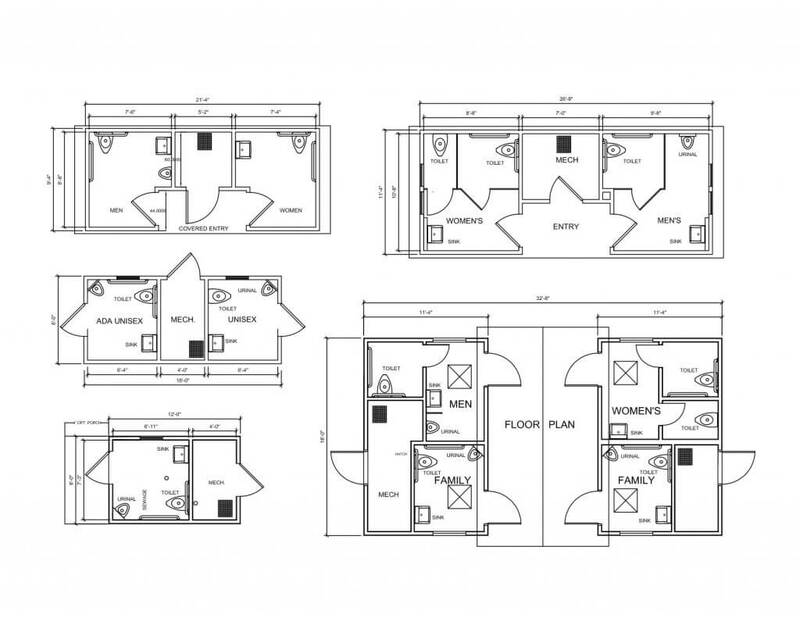 With standard floor plans already in place, you save time, money, and effort that is normally needed for planning, design, engineering, and drafting. Our standard plans come with a myriad of options, giving you the flexibility to choose interior and exterior finishes and colors. You also choose what fixtures and accessories you want. 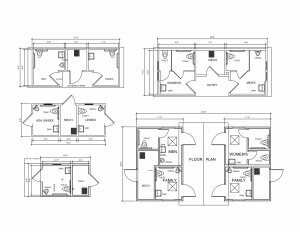 We can provide you design details and specifications tailored to your needs within a matter of minutes along with a cost estimate that you can put into your budget. If you desire a highly customized restroom plan, we can work with your architect to deliver the unique restroom building you want. 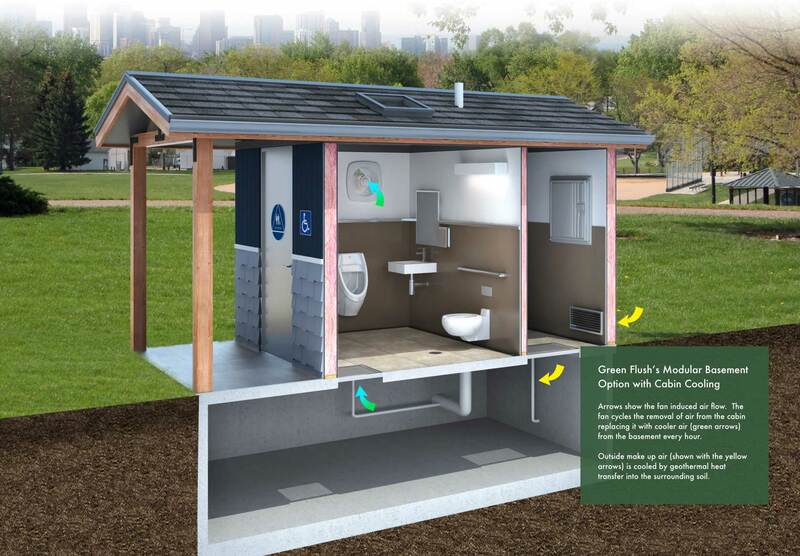 By using the very practical forces of nature, we are able to build a restroom that uses less water and energy. Our toilets and urinals flush down, letting gravity do the work, using less water. Our restroom will use about half as much water when compared with standard construction. For all season use and comfort, we can provide heated buildings that will meet all energy code requirements. Our unique geothermal cooling package cools the interior cabin temperatures by as much as 15 degrees during the heat of the summer, using virtually no extra energy. When appropriate, we can install solar panels to power electrical components of the restroom.